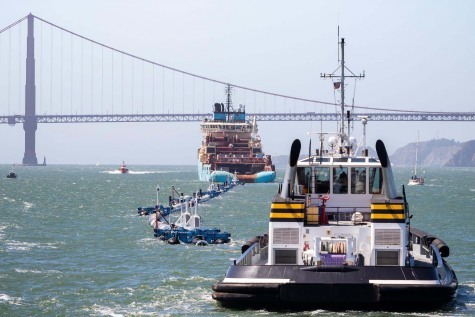 A TUGBOAT departed San Francisco Bay on 8 September bound for the Great Pacific Garbage Patch with a marine litter collection system in tow, designed to rid the seas of plastic. According to PlasticNews.com, the tug was deployed by the Rotterdam, Netherlands-based nonprofit group Ocean Cleanup. The 610-metre-long system consists of a floating plastic boom with a tapered plastic screen extending 3m underwater. The plan is to capture plastic debris at or near the surface for eventual recycling. The launch was the culmination of five years of ocean plastic research, prototyping and fundraising. The project attracted about $35 million in donations and sponsors like PayPal co-founder Peter Thiel. The Ocean Cleanup team worked with the staff of Agru GmbH and its Georgetown, SC-based Agru America Inc subsidiary to develop a boom made of buoyant and flexible high density polyethylene pipe that can withstand the harsh conditions of the Pacific Ocean. As the boom floats on the waves, it should keep garbage from flowing over it. Meanwhile, the drag on the polyester woven skirt should give the system a U-shape that collects plastic like a Pac-Man gobbling dots. Both the marine litter and unmanned removal system will be carried around by the currents, but only the plastic pipe-and-screen components will be propelled by the waves and wind. That should enable the system to move faster than the gyre garbage and capture it. The first removal system — dubbed System 001 — will be tested for a couple weeks about 300 nautical miles offshore before going another 1 000 nautical miles to the largest of the five places where ocean currents concentrate plastics. 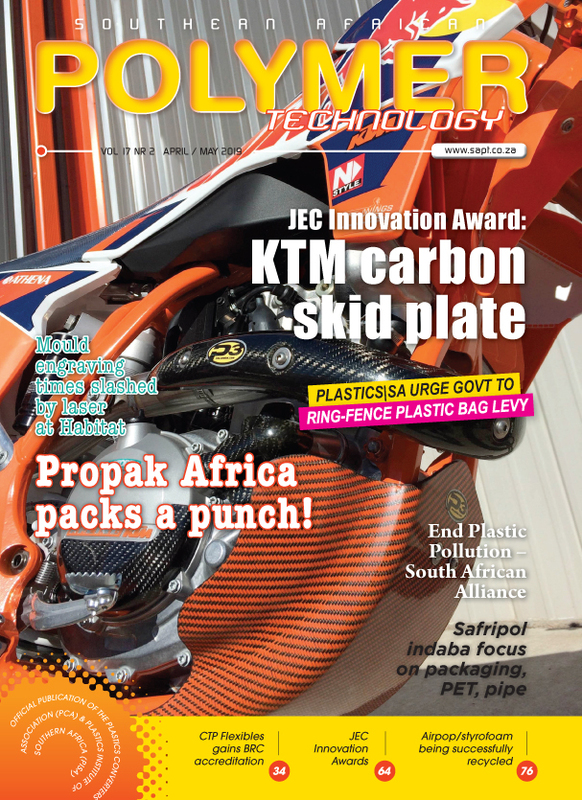 In the patch, System 001 is expected to gather up to 6 800kg of plastic in its first year. If more booms are deployed, the Ocean Cleanup says half the patch could be cleaned in five years. The group plans to collect the concentrated ocean plastic every few weeks and deliver it to what has been described as a waste-carrying mother ship, which will then take it ashore for recycling. Future booms reportedly will cost about $5.8 million each. If enough are placed in the gyres and land sources are reduced as well, a plastic-free ocean by 2050 is possible. System 001 is made with HDPE pipe produced by Agru in Austria. The Agru XXL high grade PE 100-RC resin piping system is the backbone of the floating construction which will form an artificial coastline in the ocean where plastics waste is intended to accumulate. To ensure maximum buoyancy even in the event of damage, the floater needs to be split into a number of hollow compartments like a ship. Agru produced the bulkhead partition walls to form these air-tight compartments and took care of welding them into the pipes. Ocean Cleanup designed the rail system to secure the skirt to the floater and Agru installed it. For the dove tail joint, Agru machined sheets of PE 100-RC and welded it to the floater. The company also supplied ballast pontoons made of PE 100-RC pipe to stabilize the floater and top load spigot saddles to act as attachment points for lights to give position, satellite antennas to communicate location and bollards for the ships that visit to inspect the system and collect garbage.